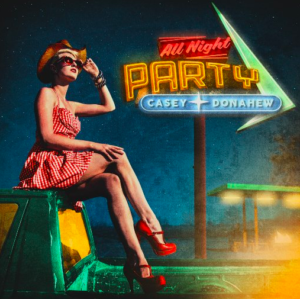 I’ll admit that I’m a huge fan of Casey Donahew. I remember a few years ago he released an album. Someone sent me a note saying that I needed to check it out. I think I listened to that album hundreds of times. Just having it play on a loop while working. Well, Casey put out a new album about a year or so ago. It’s just as good, but for some reason I’ve drifted away from it recently. But he’s got a new single from that record out and it’s another great one. I think what miss most in country music these days in the fiddle. Or maybe the harmonica. Anyway, we have plenty of fiddle in this one and it sounds really good. Just like that old school ’90s country music. And definitely some of that Texas country sound in this one. That brings me back to my first real exposure to the Texas scene when Pat Green came around and had a few hits. I went full into that scene at that time. And country music has definitely had a number of Texans at the top. George and Willie come to mind. And I guess that could be either of the Georges. Anyway, great song from Casey. I think in the wrong hands this one could come across a little hokey, but for Casey he just nails it. This is a good one. I like it.